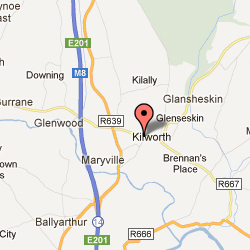 At Maurice Hanley Kilworth we provide a recovery service at competitive prices. We are loctaed close to the M8 Dublin to Cork Motorway between Junction 15 and Junction 14. Once contacted we endeavour to recover your broken down or crashed vehicle as soon as possible please contact us for more details.